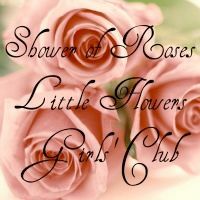 Ever since all the interest from my last post, asking what you all thought about an Shower of Roses Online Little Flowers Girls' Club, I've been working on finishing up my plans for Wreath IV. I still have a few things that need to be done before I can post those plans, but thought I would get the "registration" form posted so I can create a list of all the children that will be participating and start assigning pen-pals. Hopefully I will be ready to start publishing those plans tonight or tomorrow for Wreath IV including our overall plans/notebook pages, craft suggestions, snack ideas, and lap book with printables. Be sure to order your other supplies (including the Member's Guides) as soon as possible, if you haven't already! 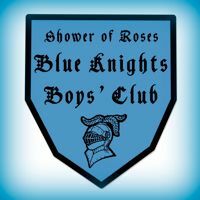 I have also decided to post link-ups each month for those that would like to do Blue Knights at home with their boys and share pictures. You can also see the link-up/posting schedule below. I plan to leave the link-ups open for two weeks. Requirements: Study the Saint and Virtue (Wreaths I-III, lots of ideas can be found in the archives) OR Gift of the Holy Spirit (Wreath IV) each month at home with the help of the Members Guide (and Leaders Guide if you have one), and complete various assignments from the Member's Guide (or by creating a Lap Book for Wreath IV) to earn your patch! Note: I don't have meetings planned for January or February, but I will still post a link-up along with the Blue Knights link-up for any of the girls that are working on Wreaths I-III and will have 2 more meetings than those of us completing Wreath IV. Requirements: Study the Saint and Theme for each month/meeting at home, and complete various assignments from the Member's Guide to earn your patch! Note: My boys have completed years 1-2 twice each now, so they will be moving on to Year 3. I moved around the 3rd-9th meetings so that some of them would coincide better with the feasts and birthday of those saints and pope, which we celebrate each year. There will not be any dues charged for these online groups. However, each family will need to purchase all of their own supplies, including the Member's Guides, Sashes (girls) and Shields (boys), and Patches. I will provide any links I run across and downloads I create, when possible. Please feel free to share any ideas that you have in the Link-up Comments or on the Facebook Pages. You are welcome to join us anytime throughout the year, but please get back to me with the above information as soon as possible, and no later than October 10th (just before I host our 2nd meeting for the year) if you would like to have a Little Flower/Blue Knight Pen Pal assigned. We are looking forward to another educational, fun, and blessed year with Little Flowers and Blue Knights! My daughters and I are excited to join your efforts. Papi is only 4 but I'll be sure to follow the BK info. We hope to start a BK group soon. Also, I have 36 LF at my parish group. I'd be happy to include them in your plans. Any ideas? Ack!! Jessica, am I too late for this?! I'm going back to read your original post on it now. We'd LOVE to be able to do this as I can't seem to get one going here where we live yet. Lena~ So excited to have your girls join in! I don't hae any ideas for including groups (since that really wasn't my objective - mainly just girls that are doing LF at home). What did you have in mind? I wouldn't mind including them in the pen-pal lists, if any are interested. Kelly ~ Not too late at all. In fact, even though we have our first meeting this week, I am still trying to pull all the plans together. It is a bit harder to do all at the beginning of the year, versus month to month! lol! I'd love to have your family join us! Send me an email with the info for which of your children would like to participate. Just sent our application from Sunny South and Humid Florida! =) Looking forward to meeting up. To Kelly, I had difficulties last year setting a both clubs last year at my parish. This year the same. I started a small group at my home for next week meeting. Please keep me in my prayers. They say great things start in small numbers. This is not related to your post, but I just discovered your blog and saw that your oldest has auditory processing challenge. What program did you use that you found so successful? This is such a brilliant idea...to have the clubs online and let others join along with all the great work that you do. I think the clubs are primarily teaching the virtues through the examples of awesome saints...but would there be any opportunity to teach about the New Mass that will start in Advent? This is a huge opportunity and I don't think it has sunk in for many people!! What ages is this designed for? Do you think and older girl (12) would enjoy it, especially since we would be doing it at home? Also I noticed you were working on Wreath IV. I know you have your plans and ideas listed throughout your blog from previous years. I was thinking about starting with the first year, but I would still love for Kate to have a pen pal and be able to post about what we are doing, either as a link up or on Facebook. Just let me know. So excited to receive all the comments and emails form those that are interested. It's been a busy busy day, and the rest of the week is pretty packed as well, but I will be keeping track of everyone's responses, and getting back to you soon! Kim ~ I don't think a 12 year old is too old at all! I even have one in my local group here, and she doesn't seem to mind that most of the girls are younger. And yes, you can find all sorts of ideas in the archives from years past. Most are all linked in my Little Flowers tab in the menu bar. What age would you start Little Flowers? My daughter is 4, and I'm sure she would love it, but is 4 too young? @Jackie C - where in South Fl are you located? We are in West Palm. I sent you a email:) We can not wait. Since we have never done any of the Little Flowers, do you think we should start with I? Oh, and could you add my 12 yr ld as well. I will email you her info.